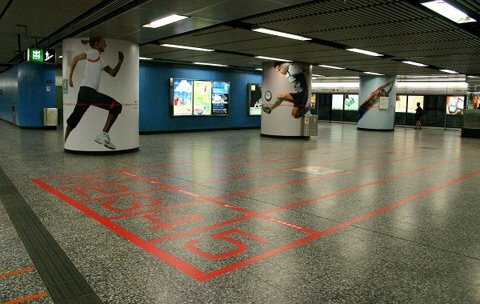 Hong Kong subways must be really empty since Nike thought that painting race tracks was a good idea. An outdoor campaign for Nike Sprint, spotted by Adverbox. Or maybe these aren't race tracks, but some esoteric symbol.